The Part Time Gourmet: Vertical or prone? 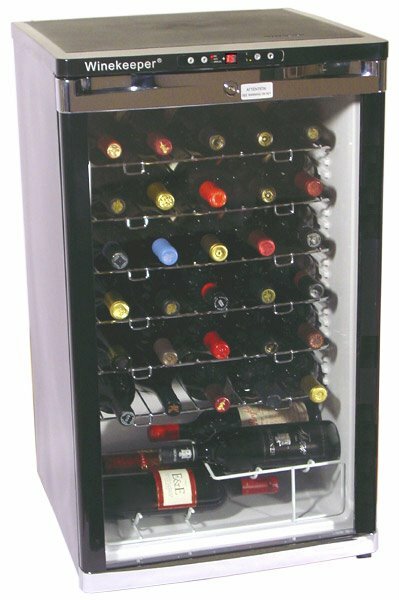 What's best position for (wine) storage? Vertical or prone? What's best position for (wine) storage? I thought this was an easy one. You always store wine on its side, right? You don't want the cork to dry out. Well, Paul Gregutt in the Seattle Times answers the question in a little more detail, letting us know that it is ok to store wine vertically...if you're going to use it within a year. He was also asked about how long you can keep Champagne. My personal rule of thumb is that if I'm going to drink the bottle within a year, it's OK to stand it up, and I have shelves in my cellar for such "short-term" bottles. For wines that are truly going to be cellared over a period of years, horizontal is the best choice. Without seeing your wines, I cannot make an educated guess as to their condition after standing up for so long. However, even the advice about storing wines horizontally has some exceptions, and Champagne is one. I have read that some authorities flatly state that Champagne should be stored upright. In my experience, storing it on its side does no harm, but that is a purely subjective, nonscientific opinion. As for question No. 2, nonvintage Champagne should be consumed with two or three years of disgorging. Unfortunately, it is not always possible to find out when a particular bottle was disgorged.